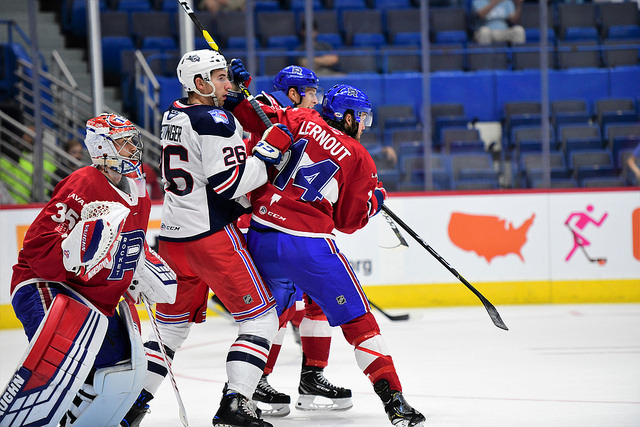 After kicking off their regular season schedule with a come-from-behind victory on the road against the Providence Bruins, the Laval Rocket suited up again on Sunday for an afternoon matinee against the Hartford Wolf Pack. 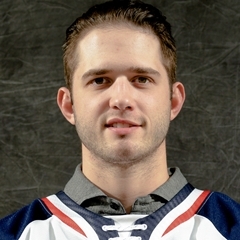 Of note in this game: Charlie Lindgren would face his brother, Ryan Lindgren, on Hartford’s defense, former Rocket forward Peter Holland was in the lineup for the Wolf Pack, as was former Canadiens/IceCaps goaltender Dustin Tokarski. For most of the first period, Laval dominated the ice. They were outshooting the home team, and managed to get the first goal of the game. Just after killing off a penalty, Alexandre Grenier shot the puck from the top of the faceoff circle to put the Rocket on the board first. But then, less than a minute later, Hartford evened the score as Lindgren stopped a shot by Cole Schneider, only to have the puck trickle through him and Michael Lindqvist tapped it across the goal line behind him. That seemed to be all the motivation the Wolf Pack needed to completely take over the game. Ville Meskanen buried a rebound just under a minute later to give his team the lead, and then seconds after that John Gilmour shot the puck past Lindgren on a perfect cross-ice feed to put Hartford up 3-1 heading into the first intermission. Were the Rocket able to clean up the turnovers and flailing defensive zone play to start the second? Not really. Hartford continued to put pucks on net more than the visiting team, and neither team could really generate anything that looked like consistent offense. 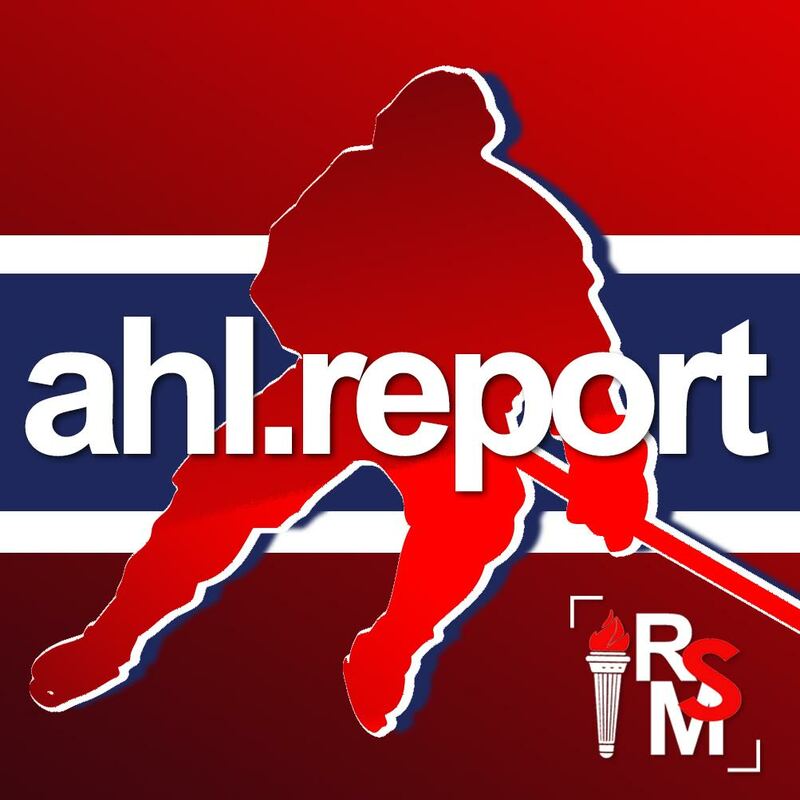 The Laval penalty killers had their hands full during the period as Brett Lernout and Michael Chaput both went off for infractions, and concurring Michael McCarron and Lias Andersson roughing calls meant two minutes of four-on-four hockey. In the final period, Laval continued a revolving door in and out of the penalty box, giving Hartford a total of six power play opportunities. Fortunately, the penalty kill was strong on this day and the Wolf Pack were unable to score on the man advantage. Despite pulling Lindgren with almost four minutes left in the game, the Rocket just couldn’t find a way through Tokarski to equal their comeback from the night before. Laval now heads home to open their home season at Place Bell on Friday night with a 1-1 record. 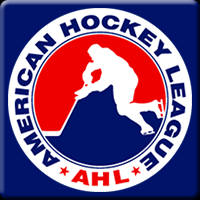 They’ll host the Binghamton Devils in both games next weekend.